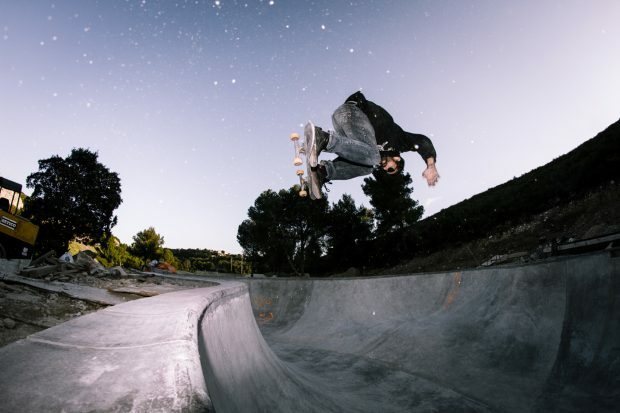 The new Carry le Rouet skatepark will be inaugurated in January 2019, but a team of motivated skaters have made the mission to test the bowl since it was already finished. Alex Giraud, pti Ju, Thomas André and the rest of the team have exploited the lines of this bowl very well, that was built by Vulcano and Constructo skatepark. It’s still amazing to see Marseille legends Alex Giraud and Julien Benoliel skating together at the same place at the same time. Thomas André. Frontside over the hip.